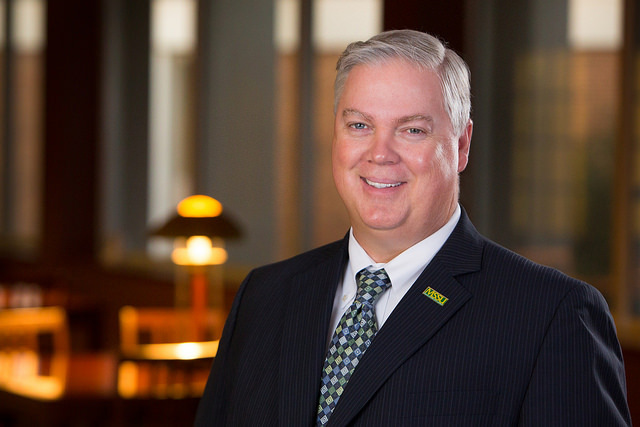 Darren Fullerton, vice president for student affairs, has been named one of 2016’s Regional Men of Distinction by the Joplin Regional Business Journal. Fullerton and the other honorees were recognized during a banquet Thursday evening in Conner ballroom. The annual class is selected by a panel of judges who score them based on information provided to the publication. This year, scoring resulted in a tie, allowing for a 16th candidate to be honored.